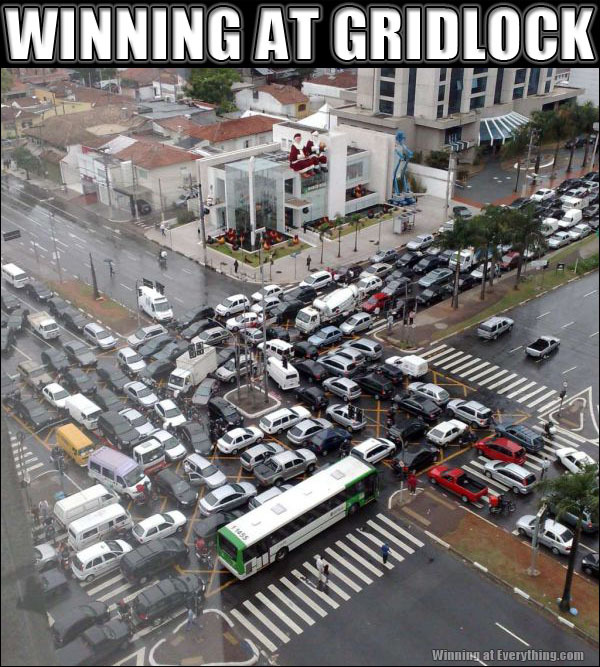 Winning at blocking the box. Because this picture was actually taken at Christmastime two years or so ago. I’ve seen it before; it’s like a giant one of those move-a-piece games, where you’ve got one empty block and you’re supposed to move everything around to make a picture. I always hated those things. This is an MRI of my arteries. The booming laughter of the crimson behemoth perched far above atop the Apple™ store mocked the harried victims of his consumptive holiday.